Last fall, USC Marshall became the first top-tier MBA program to reach gender parity with the full-time MBA Class of 2020 having as many women as men. It was a massive 20-point percentage increase from the previous year when women made up just 32 percent of the class. Now that almost a year has gone by, we wanted to reach back out to USC Marshall to see how reaching gender parity has affected this year’s class, the new recruiting season, the business marketplace, and more. 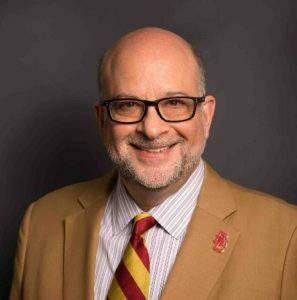 To gain insight into what’s happening at the school, we spoke with Evan Bouffides, assistant dean and director of MBA admissions, as well as Mark J. Brostoff, the assistant dean and director of graduate career services. They both offered unique perspectives on the impact of USC gender parity at the Marshall School of Business. While the Class of 2021 recruiting season is still ongoing, it’s not possible to gain a full picture of how achieving gender parity has affected the upcoming class, though Bouffides has witnessed a few changes. 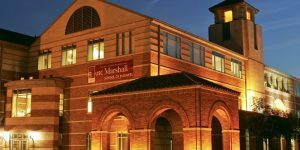 “This year, industry-wide, many U.S. business schools were down in application volume, but USC Marshall received about the same number of applications as last year,” says Bouffides. At the same time, the “quality has gone way up.” As they’ve been reviewing applications for the Class of 2021, Bouffides believes the candidates have been stronger—both men and women. Now, while that improvement cannot solely be laid at the feet of gender parity, it’s certainly a factor. Gender parity has made candidates more enthusiastic. Other factors include the continued improvement of USC Marshall’s rankings as well as the overall trajectory of the MBA program. One thing that hasn’t changed is how Marshall is recruiting MBAs—with one exception. Beyond that, Marshall held the same recruiting events as last year, including the third annual International Women’s Day Celebration Event in February. The event was extraordinarily well attended with even more enthusiasm this year over last. As for what’s happening with the class who achieved gender parity, you wouldn’t notice much difference from any previous class except that there are more women. What Marshall does know is that there has definitely been a positive vibe when it comes to having a gender equal MBA class. People appear to be generally happy with the achievement, and diversity and inclusion have been bigger than ever. One noticeable change is the increase in women in leadership in the 40 MBA clubs and organizations. Women have always tended to take on more of those leadership roles, but now it’s even more recognizable. As for the business marketplace, “obviously, there’s excitement about the fact there’s gender parity,” says Brostoff. And while it hasn’t opened up any floodgates in regards to internship recruiting or getting on the radar of new companies, there has been quite a bit of positive reaction. This is especially good news considering the Forté Foundation’s latest research, which revealed that gender inequality impacts almost half of all MBAs in the workplace. 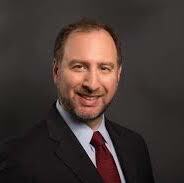 “We’ve had quite a few companies decide to start recruiting at USC Marshall when they might have been a little more hesitant in the past,” Brostoff explains. And while he wouldn’t lay all that success on the back of gender parity, it’s played a role, especially for tech companies. Tech companies have been under the microscope recently for their obvious lack of gender equity, particularly in light of the #MeToo movement. And though those companies aren’t setting specific targets or quotas for the number of female employees they need, the fact that USC Marshall has so many female MBAs coming up is quite attractive. “Companies appreciate the opportunity to increase their gender inclusion initiatives,” says Brostoff. As for what the career center is doing to continue this positive gender parity trajectory for the school, they’ve been looking to create more and more opportunities for women in business. For example, they recently hosted a new case competition on women in business, and they’ve been able to engage more female alumni and female executives to come to campus. We’ll continue to keep an eye on gender parity at USC Marshall and keep you updated as we learn more. This article has been edited and republished with permissions from its original source, Clear Admit.